Phoenix BioConsulting, LLC provides scientific consulting and expert witness services for the microbial fermentation, industrial microbiology, bioprocess development, and biotechnology sectors. Neal Connors, Ph.D. started the company after a 17 year research career in the Bioprocess R&D department at Merck & Co. Since 2009, Phoenix BioConsulting has provided services to numerous small, mid-size, and large organizations. Phoenix provides companies and organizations with the expertise and experience of a seasoned industrial scientist at a frequency and for the duration required. This can be a flexible and cost-effective solution for an organization (small start-up) without having to hire a full-time, permanent, senior staff member. Unlike consultants from academia who provide periodic, retrospective project reviews, Phoenix provides consulting services in real-time to keep your project on-track. Microbial fermentation development and production (renewable chemicals, natural products, metabolites, recombinant proteins, biocatalysts). Therapeutic or drug target protein production by microbial fermentation and cell culture. Total employment costs (salary, benefits, taxes, overhead) for a full-time, permanent staff member can range from 50-100% over salary. In addition there are recruiting costs, typically 30% of the first year's compensation, and on-boarding costs which can include relocation, sign-on bonus, training, etc. 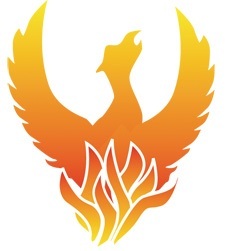 With Phoenix, high-level scientific expertise is provided for a fee which is based on the frequency of consulting activities and the project's duration (a few days to several months). Consulting fees can be hourly or project based. This staffing paradigm is particularly beneficial for start-up companies. These companies need scientific expertise to meet milestones prior the next round of Angel or VC funding but may not have the financial resources to hire a full-time, permanent senior scientist. Renewable chemical production by microbial fermentation. Contact Phoenix to discuss your specific project needs at no cost or obligation. All information is treated as confidential. Copyright 2015 Phoenix BioConsulting, LLC. All rights reserved.